It’s almost HERE!!!! Getting ready for the launch of 80 Day Obsession on January 15th and I’ve been getting A TON of questions about the nutrition plan! Well here are your answers…. 80 Day Obsession is our latest 80 day program designed to build chiseled abs and that peach booty… AKA every girl’s dream. But this isn’t a quick-fix plan. After all, you’re not just trying to lose weight — you’re striving for your best body, and that requires serious commitment. But if you’re ready to get dedicated with your fitness and nutrition strategy, you’ll see the amazing results you’ve always craved. This program uses timed nutrition to really maximize your body’s metabolism! You’re essentially eating the perfect combination of proteins, carbs, and fats at the ideal times to maximize muscle growth and use food as FUEL. 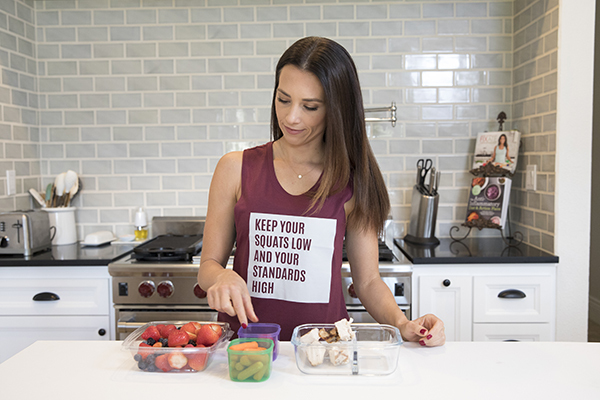 You’ll get a specific plan to follow also based on the portion control container concept, giving your body exactly what it needs at exactly the right times! Here are a few of the key words you’ll be using with this plan! CALORIE TARGET: Before you start, you’ll calculate how many calories you need to consume each day, and choose a nutrition plan built around that calorie target. WORKOUT BLOCK: This is the four- to five-hour block of time before, during, and after your workout. The nutrition plan revolves around this window, and you’ll follow specific guidelines for which color-coded containers and supplements you can use during this block. You’ll also eat three small meals outside of your workout block, along with a Recharge supplement before bed. 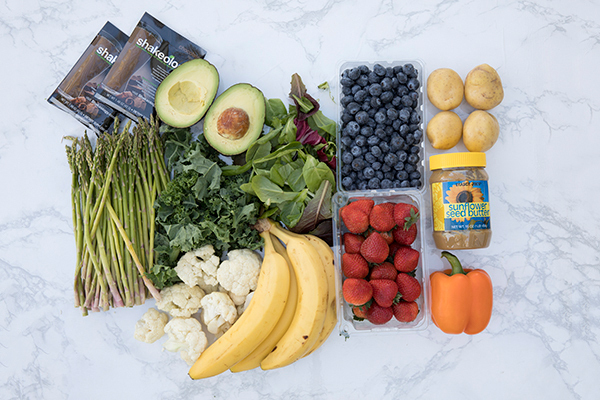 BEACHBODY PERFORMANCE: Your supplements for the workout— Energize, Hydrate, Recover, and Recharge — are built into the nutrition plan to maximize your results. REFEED DAY: You’ll boost your carb intake on refeed— but it’s not an entire cheat day. You’re still following the plan just boosting carbohydrates for the day! DEPLETE DAY: During the last week of the program, you have the option of reducing your carbs and increasing your protein to finish strong with the leanest results possible. REST DAY: These are your days where you are not working out but are so very necessary. Meal prep will be key in sticking to your timed nutrition plan. Know what foods you’ll be filling your containers with and prep them ahead so you can grab and go through the week. No forgetting to EAT!!! Set reminders on your phone or post-its on your desk so you remember to eat at the best times. 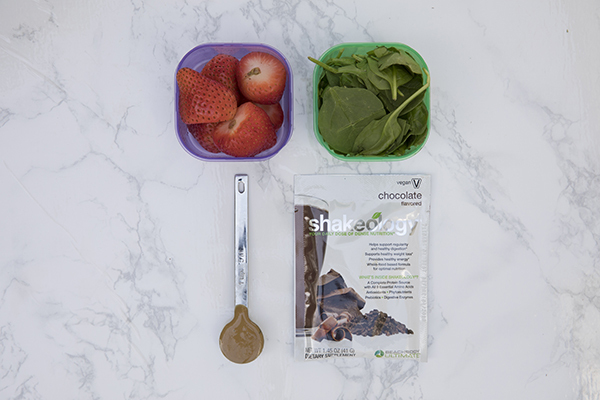 Shakeology is one SUPER easy grab and go meal each day! The superfood protein shake provides the nutrients you need to get the most out of this program. And remember, it’s called 80 Day Obsession for a reason. If your goal is to shrink your core and chisel your booty, you need to be ready for 80 days of intense focus and rigid rules. It won’t be easy — but it’ll be worth it. I can’t wait to create your success story together! This entry was posted in Nutrition and tagged 80 Day Obsession, 80 Day obsession nutrition plan, Autumn Calabrese, beachbody coach, macros, timed nutrition, workout blocks on January 14, 2018 by danielle.